Washington, D.C., formally the District of Columbia and commonly referred to as Washington, “the District”, or simply D.C., is the capital of the United States. On July 16, 1790, the United States Congress approved the creation of a federal district to become the national capital as permitted by the U.S. Constitution. The District is therefore not a part of any U.S. state. It was formed from land along the Potomac River donated by the states of Maryland and Virginia; however, the Virginia portion was returned by Congress in 1846. A new capital city named after George Washington was founded in 1791 to the east of the preexisting port of Georgetown. Congress consolidated the City of Washington, Georgetown, and the remaining unincorporated area within the District under a single municipal government in 1871. The city shares its name with the U.S. state of Washington, located on the country’s Pacific coast. Washington, D.C., had an estimated population of 617,996 in 2011. The city was the 24th most populous place in the United States as of 2010. Commuters from the surrounding Maryland and Virginia suburbs raise the city’s population to over one million during the workweek. The Washington Metropolitan Area, of which the District is a part, has a population of nearly 5.6 million, the seventh-largest metropolitan area in the country. Major industries in the District of Columbia include government and legal services. Names of the District of Columbia corporations must be distinguishable from name of any other corporation. Company Express nwill research your company name to make sure it meets the District of Columbia’s standards. Required documents: Articles of Incorporation and a Written Consent to Act as Registered Agent. Turnaround time: About 5-10 business days. Director qualifications: No special provisions. Appearance in articles: Director names and addresses are required to be listed in the Articles of Incorporation. Corporation’s principal office has to be located inside the district. Local registered agent is also required in DC. Time to file: Two Year Report must be filed by by April 15. The fee is $250. Signatures: The President, Vice President, Secretary, Assistant Secretary or Treasurer are authorized to sign biennial reports. Name of the District of Columbia Limited Liability Company must be distinguishable from name of any corporation, limited liability company, reserved limited liability company, limited partnership or forced fictitious name. Company Express will research your company name to make sure it meets the District of Columbia’s standards. Required documents: Articles of Organization and Written Consent to Act as Registered Agent. Minimum number: Minimum one m,anager/member is required. 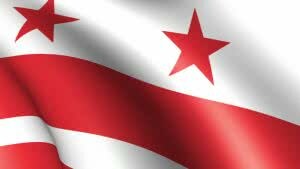 LLC’s principal office may be located outside of the state, but local registered agent is required in DC. Time to file: Two-Year Report must be filed on or before April 1st. The first report is due the year after formation. The fee is $300. Signatures: An authorized person must sign reports. Emailed or faxed signatures are accepted.